金継ぎ　繕イビト > food & pottery-食と器 > ジャパニーズジャンク! 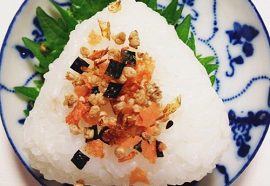 Onigiri rice balls have long been popular. These are made by rolling rice in the palms of the hands.They can be eaten with one hand and are easy to carry around.